'Houdini' (William Maryott, R. 1984). Seedling# G1738LK. TB, 35" (89 cm). Midseason bloom. Ruffled velvety deep red black; self beard. 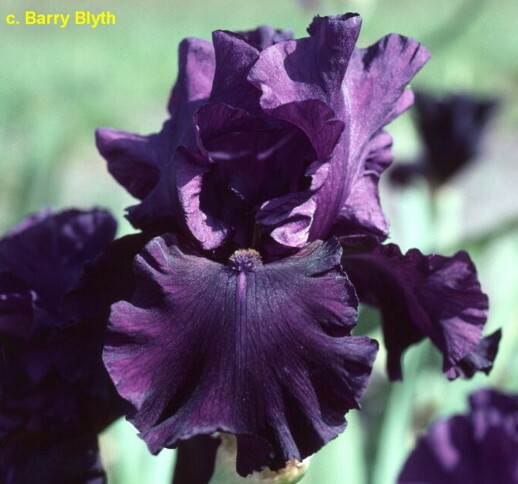 'Midnight Special' X sweedling# E34C: (('Prophecy' x 'Gypsy Belle') x 'Intuition'). Maryott's Gardens 1985. JPG HoudiniSI.JPG manage 301 K 16 Apr 2019 - 16:04 Main.TLaurin Photo by Sandy Ives.